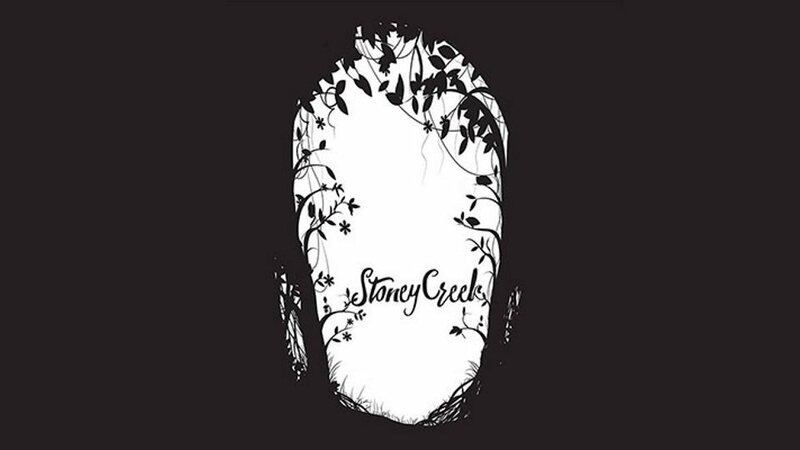 Stoney Creek is a small town in the North West USA, and it's recently been shocked by the disappearance and then death of Emmett King, a local teenager. When he was found, by his girlfriend Jessie Mauro, his body was vacuumed clean, with his skeleton and organs removed, leaving an empty skin. Now Jessie is investigating, with the help of a tape recorder to catalogue her journey and release a podcast of what she discovers. There's a collection of "people of interest" in the town, but two major ones jump out at her. Henry Quinn, a bellhop, has form for following her around and doing a bit of stalking ever since she was a child. He's been reported to the police often enough, but always turns back up, loitering suspiciously in the background. Henry, in his defence, offers the second possible suspect. The Endgrave is a local urban legend, a shadowy figure with long, twig-like, bandaged arms, and a creepy eyeless face. Obvious parallels can be drawn with the Slender Man, and this does feel like an attempt at doing a "Slender Man"-themed audio drama, of which I've not heard many. Recommend me some more in the comments. It's a combination of interviews with a person of the week, and recordings of Jessie's wanderings into the local forest, often accompanied by her friend Noah. The forest is both where Emmett was found, and the source of a video of other people going missing, some of whom made mention of strange tunnels in the woods, as well as sightings of the Endgrave. Unlike Blackwood, which was much more cagey about its supernatural elements, they're shoved front and centre pretty quickly here, which is a nice change from the usual "but is something actually spooky going on?" plotline that things like this can have. That's not to say it's simple, however, as there are a few twists and turns in the plot, with some decent reveals, as well as a complex bit of family backstory involved. It's a fairly large cast, which means things can be approached from several different angles, and makes the town feel believably deep, especially when people start losing their memory of some of them. All wraps up to a spooky ending, as a self-contained story, and I think the second series is going to swivel slightly to a different aspect of the town. Will likely give that a listen as well.